Learn about the advancements and benefits of male dermal fillers. The use of dermal fillers is a great, non-invasive alternative to surgical facelifts and improves the appearance of the skin. The use of fillers in men has increased due to awareness of non-invasive procedures. 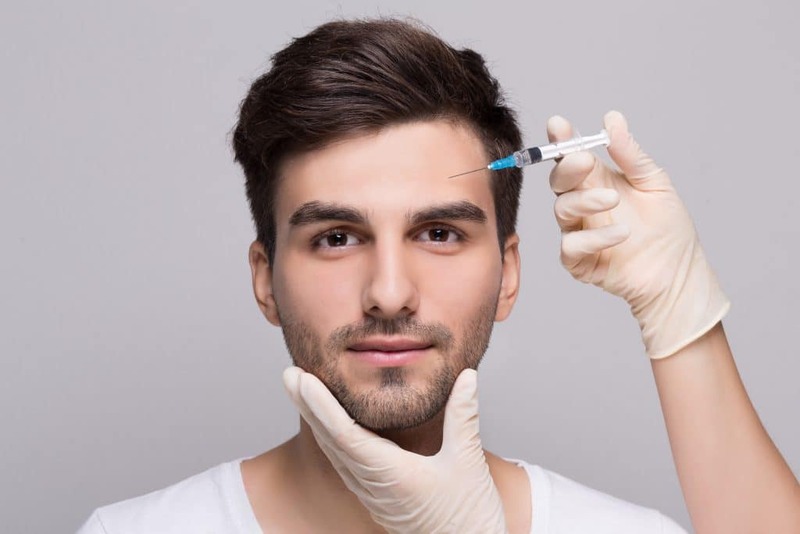 While dermal fillers have increased in popularity amongst the male community, male patients are still concerned about feminization. The approach to male aesthetics is different from females. Dermal filler treatments are tailored to the natural male structure and beauty. Men and women are structurally different. Men naturally have thicker skin and larger bones. Men’s foreheads are larger overall, and their eyebrows are flatter than women’s. Their cheeks are flatter and have more of an angle rather than women’s cheeks which are rounder and fuller. There is more volume loss in men’s lower lips verses their upper lip, which is more common in women. Another common treatment area is the jawline. Men want a wider and well-defined jaw while women tend to have narrower, v shape jaws. Other common areas for men’s dermal fillers include cheeks, around the eyes and temples, and nasolabial folds. It is important to find a skilled injector that listens to individual needs and has training in all dermal fillers. At Anne Arundel Dermatology, our skilled injectors are knowledgeable and extensively trained in all dermal fillers. To schedule your consultation to see how dermal fillers can benefit you, please visit our website. ← Hyaluronic Acid: What’s the Big Deal?